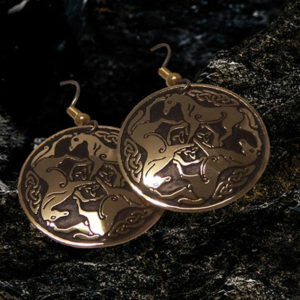 Seahorse Celtic earrings handcrafted in Ireland on the Wild Atlantic Way, Beara by Paul Connolly. 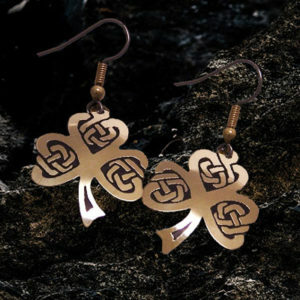 A Celtic seahorse design with intricate Celtic knot-work makes this Celtic jewellery from West Cork, Ireland a superb Irish gift. 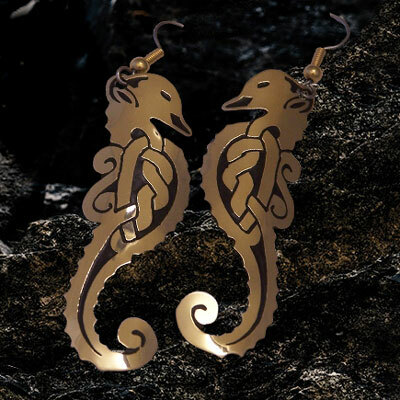 Celtic seahorse earrings created by master craftsman Paul Connolly. Highly polished with non-allergenic surgical steel earwires.Pre 2018 Paul Connolly was previously trading as Aqua Fortress. Rebranding was launched at Showcase, Ireland’s Creative Expo, held in Dublin, in January. 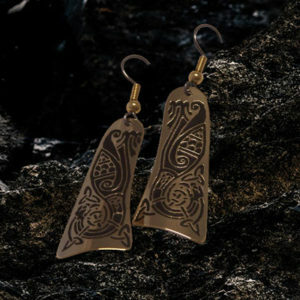 Paul is a member of the Crafts Council of Ireland and participated with the Cork Local Enterprise Board. 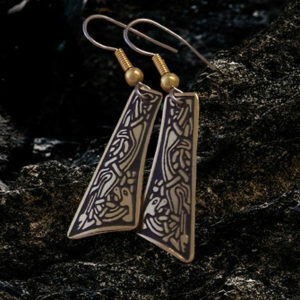 Two decades of experience has proven him to be a master craftsman, producing quality affordable genuine Irish products.